I don’t remember exactly when I purchased [amazon_link id=”B0013JOJHC” target=”_blank” ]amaranth flour[/amazon_link], but it’s presence in my pantry is testament to the fact I did. It’s also possible evidence of the fact I’m going senile, and that I need to clean out my overcrowded pantry, but lets ignore that for the moment shall we? I like to assume I had great plans for baking something with my packet of Amaranth flour but there it sat, alone, amongst my collection of flours and other baking supplies, neglected. I stumbled upon it on Friday when I was grabbing flour out of the pantry while making these quadruple chocolate cookies, in preparation for a visit from my parents on the weekend, and while the cookies were baking set about coming up with recipe ideas. Amaranth is a tiny seed, about the size of a pin head, that comes from the flowers of an Amaranthus. It’s gluten free, has a nutty flavour, and contains protein, calcium, magnesium and iron, and is purported to have a range of other health benefits. 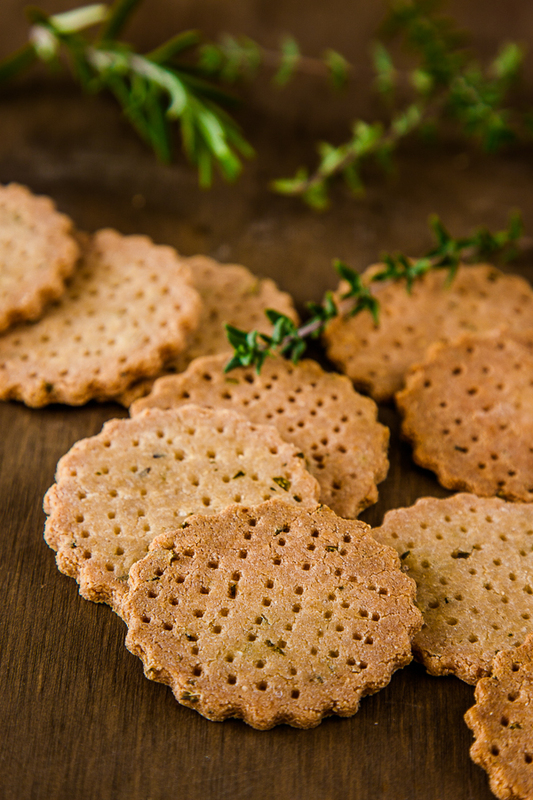 Amaranth flour is not a cheap alternative to regular flour, however it is a delicious and healthy alternative to consider adding to your pantry as it can also be used in baking to replace around 25% of regular flour in recipes for an added nutritional boost, and you can also use it to make these scrumptious crackers! After tossing up several ideas, I quickly settled on some simple savoury crackers infused with garlic and herbs, to go with the batch of hummus I’d just made. The crackers are really simple to throw together, and the resulting dough is beautiful soft and easy to handle, and when rolled between two sheets of baking paper, doesn’t even need flour for rolling. And as they bake they fill the kitchen with a beautiful aroma of herbs and garlic, making you want to eat them right of the baking tray the moment they come out of the oven. I baked two batches of these Herb and Garlic Amaranth Crackers, and settled on pricking the second batch of crackers with a fork to prevent them puffing up in the oven, as the first batch did puff up a bit. 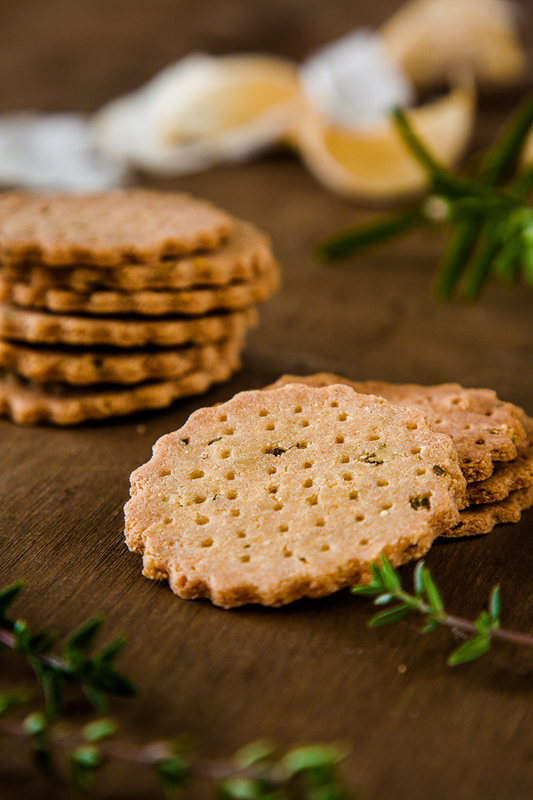 The result is a lovely crisp, slightly nutty herb and garlic scented cracker that is difficult to resist. Even my ever so slightly hubby who is wary of anything “different” thought they were delicious. 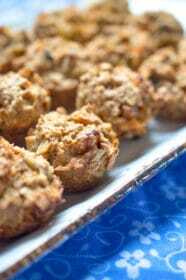 Have you baked with amaranth flour? What are your favourite amaranth flour recipes? Herb and Garlic Amaranth Crackers are really simple to throw together, and the resulting dough is beautiful soft and easy to handle, and when rolled between two sheets of baking paper, doesn’t even need flour for rolling. Preheat the oven to 180 celsius (355 Fahrenheit) and place all of the ingredients in a food processor and process to combine. 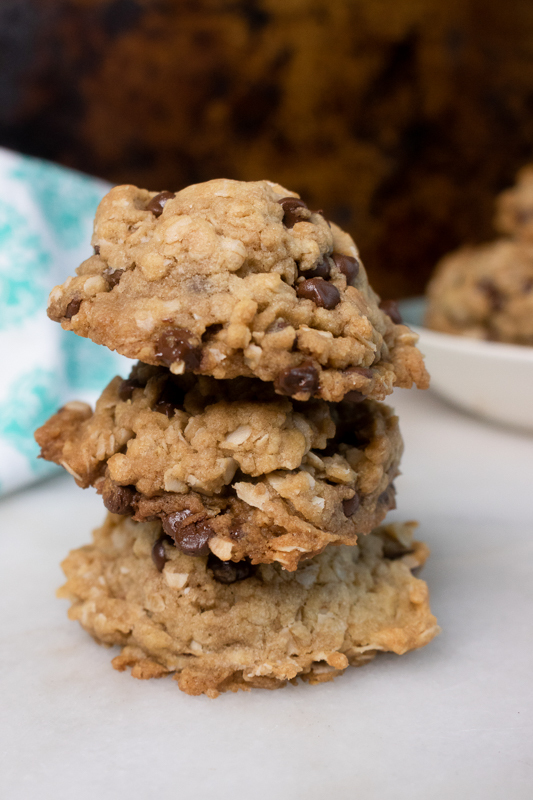 The dough probably won't come together completely in your food processor, but will resemble a clumpy sandy mixture. Don't be tempted to add more moisture to bring it together, simply remove the dough from the food processor and place on a piece of baking paper and gently knead until smooth. If the dough is sticky add a little more flour and knead until smooth. Flatten the dough and place another piece of baking paper on top and roll out the dough using a rolling pin to a thickness of 5mm (1/5 of an inch). Use a cookie 5cm (2 inch) diameter cookie cutter to cut out the cookies and place on a baking tray lined with baking paper. Gently prick all over the crackers with a fork to prevent them puffing up while baking and bake for 12 to 15 minutes, or until golden around the edges. Place on a cooling rack to cool completely before placing in an air tight container, if not serving immediately. The amount of moisture required to bring the dough together will depend on the flour you use. The dough should not be sticky. If it is simply add more flour and knead until smooth. If the dough is too crumbly return it to the food processor and add a teaspoon of water and process until it comes together. 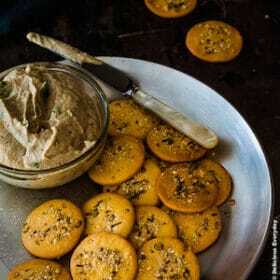 The baked crackers should keep about 1 week in an air tight container, that is if you don't eat them before then! 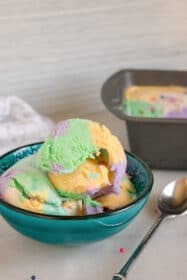 I want to try this but I wander if I can use normal puffed amaranth instead of amaranth flour, I’m worry the dough won’t hold or won’t be a dough at all even after puting it in the food processor. Has anyone tried this? I’m so glad you enjoyed these Nancy. 🙂 It is a lovely way to use amaranth flour. This looks delicious! Le Delicious Everyday! Heehee! Simply delicious. 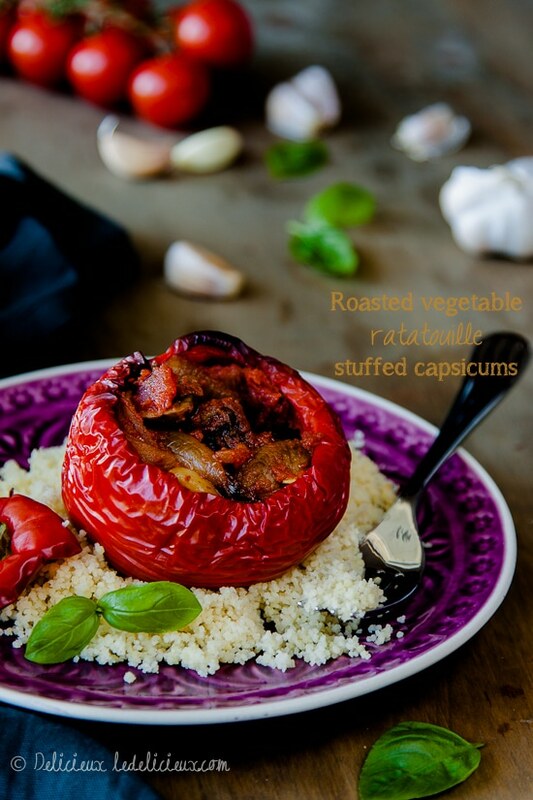 Love the photos which are tasty and you have me inspired to try working with this new ingredient! I too love to use amaranth in the baking. These crackers look scrumptious! These look so delightful and I love the addition of rosemary. 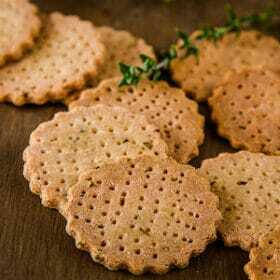 Nothing like a good savoury cracker and I do love cooking with amaranth flour, it just feels so wholesome! I’m very new to amaranth – I like it popped but haven’t yet found a way to cook it savoury that doesn’t taste a bit too mushy for my liking. I do love the idea of using the flour though – definitely keen to give this a try. LOL your pantry sounds just like mine, filled with bags of experimental flours and exotic ingredients waiting to be transformed by my Thermomix into fast and easy, healthy recipes. 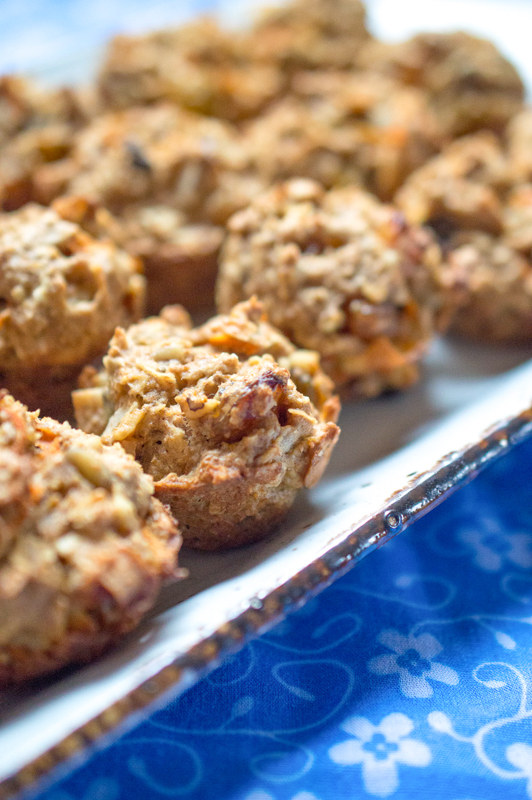 If only I had as much time as I do desire… Many thanks for this recipe for an alternative to gluten and regular flour. And good luck sorting out your pantry! Thanks for sharing! I have never used amaranth flour and I am keen to give it a try. 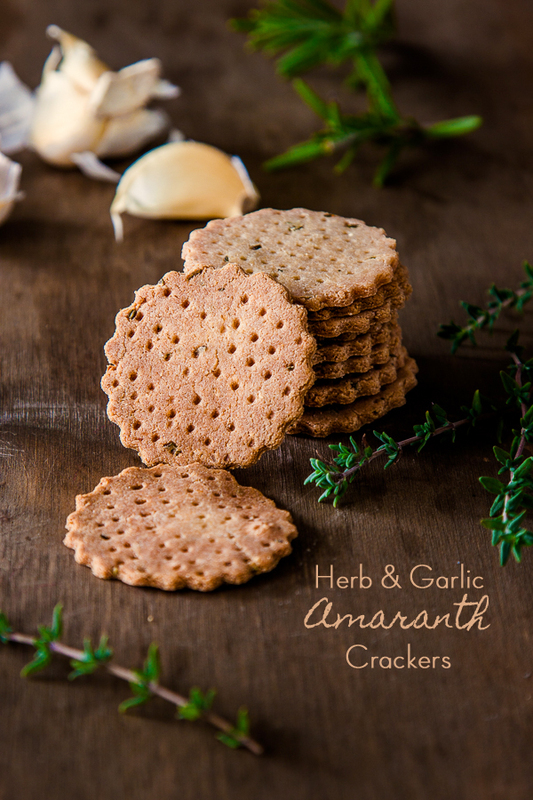 What delicious crackers, I love the herbs and garlic!